We are seriously in love with this bikini top for this summer season. 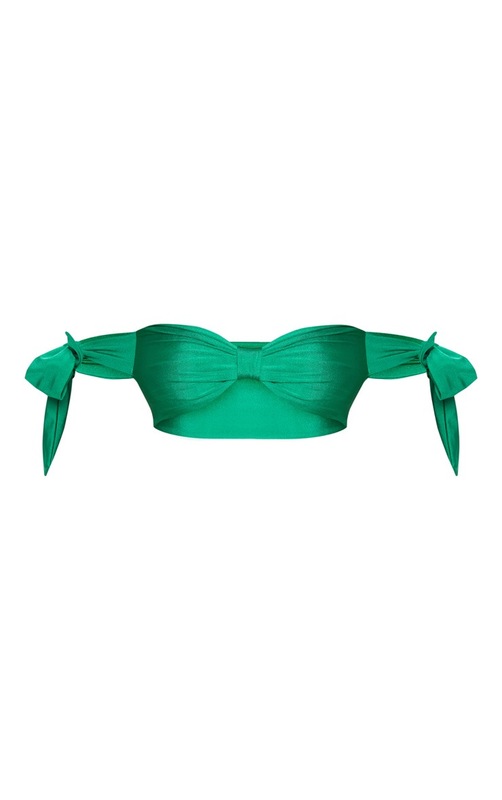 Featuring a bright green swim material with a bardot style and tie sleeve design, what's not to love? Team with the matching high rise bikini bottoms for that poolside look.